Let me start by saying that I was honored when Christina asked me to review her book. I wasn’t sure what to expect (the book takes place in the future and I usually don’t read sci-fi), but I was pleasantly surprised with the story. I think Christina will offer many great stories in the future. I’ll start with the blurb from the back cover of Christina’s book. The Last Dawn begins in late 2055 during the last few days of Earth. As Earth’s demise is imminent, Madison Weatherly and her former flame, James, reunite. Only a few hours remain for life on the dying planet when the entire population is dispersed throughout the universe. As Madison tries to adjust to a new life on a new planet and far away from her love, the desire to be with him never wavers. When an unexpected opportunity comes to leave her planet to find him, Madison takes off on a risky adventure through the galaxies. Now, an exerpt from the book. “Pandemonium is breaking out across the globe. Riots are coming in from all major cities. Police are out in full force arresting demonstrators and attempting to calm the panic…” Speechless and in shock, Madison Weatherly turns off the news report. She does not want to believe what President Mona Paterson has just announced during her televised speech. Although Madison, along with the rest of the population, knew this day was coming, it still does not feel real. Five years have passed since Intergalactic Officials first visited Earth and they seemed to have flown by. The end of the world scenario has always felt like a future generation’s problem, not reality in 2055. Flying cars and time travel machines do not exist; life is the same now as it has been for almost a century. An occasional visit from aliens is the only futuristic element seen now-a-days. The aliens do not have giant heads and creepy green skin as vintage movies portray; they are human like everyone else. The officials visit during government elections and world leader conventions. Madison has never seen any of them in person; they land and take off under the radar, not wanting to cause any commotion. Nerves begin to eat away at her as she searches for her emergency pack of cigarettes. Hidden under the miscellaneous items in her kitchen junk drawer, she fishes them out. She quit smoking several years earlier after meeting her boyfriend, Rick North, who despises the habit. He’s none the wiser about her emergency habit. These days, the only time Madison retreats for a smoke is during rough and drawn out trials when her nerves get the best of her. Or, you know, when the world was about to end. 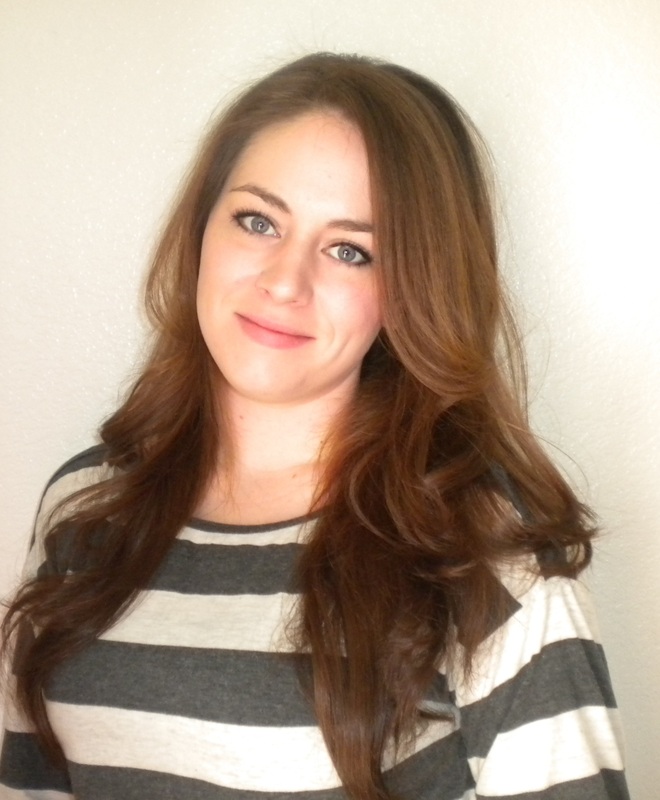 Christina Lasater. The Last Dawn (Kindle Locations 72-87). Christina Lasater. I’m not really into the sci-fi genre, so I’m probably not the most accurate reviewer of this debut novel. However, I see lots of promise in Christina’s writing and enjoyed the concept of the story. I look forward to reading her future projects. Want the book or to know more about Christina? Join Christina for a live chat on Twitter! Follow her @crlasater with the hashtag #TheLastDawn where you can ask questions and possibly win a free autographed copy of her book!!! Christina’s book is available on Kindle and through amazon.com. 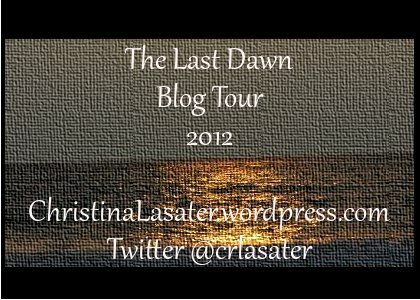 This entry was posted in Uncategorized and tagged Blog Tour, Christina Lasater, The Last Dawn. Bookmark the permalink.